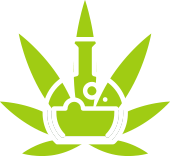 With the inaugural Analytical Cannabis Expo, we are in a unique position to showcase your company and products to scientists working in cannabis science, testing and extraction. Exhibiting at our event will position you alongside scientific leaders in the industry and allow you to demonstrate how your expertise can help scientists in these emergent fields. Please download our rates card for full exhibition details and pricing information.